The governor and mayor a the unveiling of the Amazon deal. It was November 13, and Bill de Blasio was seated beside his erstwhile nemesis, Governor Andrew Cuomo, celebrating the news that Amazon had agreed to put one half of its new headquarters in Long Island City. The two Democrats, who’d spent most of the past five years locked in their own personal cold war, were full of smiles and compliments for each other as they outlined the details of the deal: 25,000 to 40,000 Amazon jobs over 10 to 15 years and at least $2.3 billion in capital investment by the company—in exchange for city and state subsidies. This article was co-produced with The Nation. But not everyone was excited. Outside the press conference—in the streets of Queens, in the chamber of the City Council, on editorial pages—a consensus was building that the multibillion-dollar mega-deal was not just lopsided, overpriced, and liable to exacerbate everything from gentrification to congestion, but was also deeply anti-democratic. It was a question that would ricochet, unanswered, in the days that followed as one event after another underscored the city’s multitude of unmet needs: On November 14, a federal judge threw out a consent decree—in which the city had promised to fix the crumbling public housing where hundreds of thousands of New Yorkers live with problems like lead paint, broken boilers, sewage floods, and rats—citing flaws in the deal; the day after that, a snowstorm trapped a multitude of commuters on roads and in bus stations, exposing the accumulating shortcomings of the region’s transit system, as the MTA announced that its money woes mean it has to either raise fares or cut service; a livery cab driver killed himself, the eighth since advocates started tracking the tragic impact of an unregulated gig economy on the city’s streets; and 61,000 people slept in city homeless shelters. Hey, Alexa: What does it say about Cuomo and de Blasio that the thing that ended their five-year feud was not an alliance to tackle any of those problems, but rather the chance to give $3 billion in government subsidies to the company run by the world’s richest man—and to do it via a process that will permit as little public input as possible? 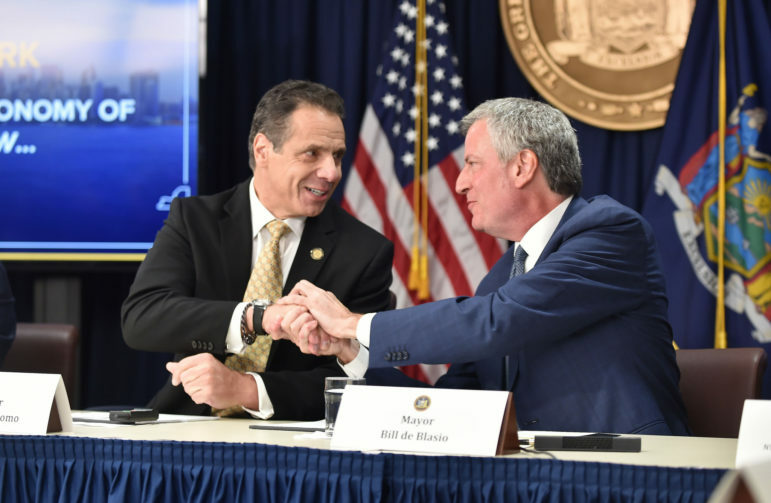 New York didn’t offer as much in subsidies as some of the other jurisdictions that threw their hats into the Amazon HQ2 ring—and de Blasio has said that Amazon wanted more than what he and Cuomo offered, but New York refused. But the $3 billion dollars the state and city have put on the table still represents New York’s biggest corporate-welfare deal of all time, which is extraordinary when you consider the competitive advantages New York offers a major corporation—such as access to talent, which de Blasio keeps highlighting as the real reason Amazon is coming. The state’s $1.7 billion in subsidies are discretionary, meaning they weren’t something Amazon automatically qualified for but, rather, are being awarded at Cuomo’s direction. Cuomo’s motivation here is clear. From betting on casinos that are mired in mediocre performance to a lame campaign for a convention center in Queens to upstate investments that have figured prominently in two federal corruption trials, the governor’s economic-development record is impressively lackluster. In need of a win, and with upstate still stuck in neutral, he’s decided to latch on to the roaring New York City economy. But that’s also one of the big oddities of the Amazon deal: New York City is creating jobs at a whirlwind pace, and several big tech firms like Facebook and Google have located here without demanding a big subsidy bribe. Why hand billions of subsides to a company that doesn’t need it—Amazon did $177 billion in sales and cleared $4 billion in operating income in 2017—in a city whose job market is already thriving? The question is all the more relevant in the case of Queens. Over the past decade, the borough has added 200,000 jobs, making the promise of 25,000 to 40,000 new Amazon jobs over 10 or 15 years—or the projected 107,000 in total employment—seem slightly less transformative, though still significant. The average salary Amazon is promising of $150,000 is well above what the average Queens job pays now ($52,000). But will those jobs be accessible to the communities that need them most, like residents of the Queensbridge public-housing development next door to the new Amazon site? The memorandum of understanding between Amazon, the city, and the state commits the trio to a modest program of job training and outreach programs, but—incredibly—there is no local-hiring requirement. Moreover, while all of the city and state subsidies are ostensibly tied to Amazon’s hitting employment and investment benchmarks, New York has had to sweeten its subsidies and scale back the benchmarks in some past economic-development deals to accommodate a company that couldn’t deliver. That’s a risk here as well. The contrast between the governor’s treatment of Amazon and his approach to the transit system is striking. As he announced the deal, Cuomo stressed the importance of infrastructure to New York’s appeal. He extolled the virtues of the projects he has underway at John F. Kennedy Airport and at La Guardia, the new AirTrain that will whisk flyers to the latter, the new Penn Station that will serve commuter rail riders and Amtrak passengers. But there was nary a whisper about the bus or subway system—by far the most important infrastructure to working New Yorkers. Cuomo ignored these systems for years and then, when the transit crisis could no longer be ignored, tried to blame it on de Blasio. This led to a particularly rocky patch in the relationship that Jeff Bezos apparently saved. Unlike the state’s gift, the city’s projected $1.3 billion in subsidies to Amazon are “as of right,” which means that any company that opted to locate here and bring in that number of jobs would receive those benefits. De Blasio has tried to hide behind this fact as editorial boards and former allies have started wondering what the hell he was thinking. But while the City hasn’t gone out of its way to lard new or special subsidies on Amazon for coming here, it is going out of its way to facilitate the project that triggers those subsidies, by clearing away administrative hurdles that could block the corporation from getting the riverfront land it desires—at least on its preferred timetable. De Blasio did this by agreeing with the state to bypass the local public-review system called Uniform Land-Use Review Procedure, or ULURP. 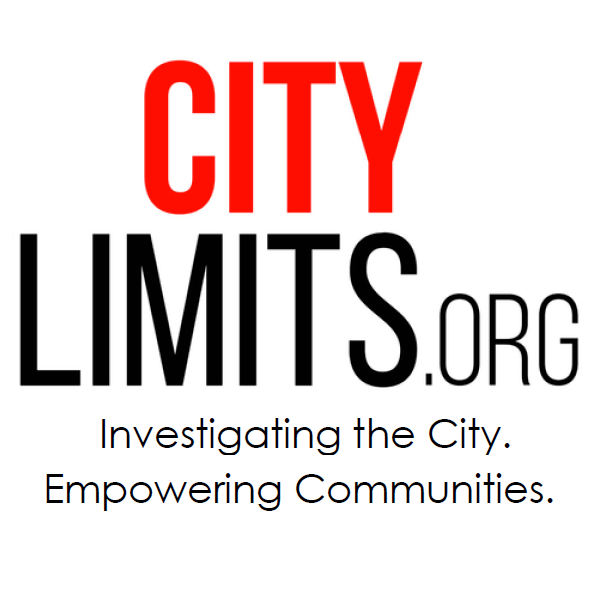 Set up in 1975 to avoid the excesses of top-down, Robert Moses–style planning, ULURP allows community boards and the borough president to have a say and gives the planning commission and the City Council binding votes on whether to hand over city land or rezone it. It’s not a perfect system, and it’s one over which the mayor has huge power, but it’s what passes for democracy in New York’s planning process. In this case, however, a far less rigorous state process will be all Amazon has to deal with. By bypassing ULURP, the administration avoids a potential problem for de Blasio, who after a rocky fifth year in office is weaker than ever and might have had to burn a lot of his dwindling political capital to get the Amazon deal through. According to Cuomo, however, the reason the city has to skip ULURP is that Amazon is in a hurry! “The expedition factor was a factor in the competition, right, because Amazon wanted to move to a place where they knew they would have an expedited facility being constructed,” Cuomo explained. All of this is OK, de Blasio reassures us, because he and Andy have got it covered: “You have a democratically elected mayor and a democratically elected governor saying we had an unprecedented opportunity to add to the number of jobs in this city and we were not going to let that slip through our hands.” As if when the people elected a progressive mayor, they knew he’d green-light a deal giving $3 billion to a corporate behemoth. Ironically, the site Amazon intends to occupy figured in plans to generate around 1,500 apartments under de Blasio’s massive 300,000-unit affordable-housing plan. Now, most or all of those units cannot be built. De Blasio has gone into multiple low-income neighborhoods and insisted that people should accept new development, notwithstanding their terror that it would gentrify them out of their community or into a homeless shelter, because, the mayor said, the city was desperate for housing. Yet the city is not so desperate, apparently, that it can’t shove multiple units to the side if they’re in Amazon’s way. De Blasio defended the use of pricey subsidies and precious space to bring Amazon here with the argument that the city needs big wages to fund its social programs. The tax revenue generated by the Amazon jobs, he said, will be “part of how we keep this a city that actually supports everyone.” Indeed, cross-subsidization is part of how a progressive city does business. The wealthy pay a share of local income tax disproportionately larger than their share of population or income, and that helps pay for homeless shelters and public parks. But there’s increasing awareness in New York of the externalities associated with attracting wealth. If you rezone a neighborhood to permit high-rise luxury housing, sure, you might generate rents that allow for a few “affordable” apartments, but will the broader ill effects of the new development—the changes in the local market, the secondary displacement of the poor—cancel out the good you did? The Amazon project will certainly raise those questions. Its backers will say that the city’s job market and housing landscape are changing, whether politicians support the evolution or not. But that goes to the heart of the matter: De Blasio and Cuomo didn’t merely accept that Amazon, like Facebook and Google and others, would set up shop here. They decided, unlike in the case of those other tech firms, to write big checks and bypass the democratic process to get them to come. One reason New York is betting big on tech is that it hopes that sector will replace Wall Street, long a key driver of the economy, which is expected to shrink as computerized trading reduces the need for humans. But therein lies perhaps the biggest danger of the Amazon deal: It could tie New York’s politics to the fortunes of a truly problematic company that same way it turned local elected officials into defenders of the finance sector. Wall Street employed a lot of Senator Chuck Schumer’s constituents and donated a lot of money to his campaigns, so it was not entirely surprising when Schumer advocated the 2008 Wall Street bailout. When political sentiment turned against financial titans in 2010, Mayor Mike Bloomberg was quick to remind the city’s members of Congress just who buttered their bread: “The bashing of Wall Street is something that should worry everybody,” Bloomberg said as the time. “We need the New York delegation to be out there protecting our businesses.” This was as the foreclosure crisis, triggered by those very titans, was sucking millions of dollars of black wealth out of southeastern Queens. New York’s investment of money and political capital in Amazon’s arrival could make the company into a new, dominant force in the local polity. And that’s more distressing even than the absurd subsidies, the rigged process, and the prospect that one of the world’s most voracious monopolies will take land that was meant for housing. The company’s massive size and reach give it power that would be frightening in and of itself, and the firm’s record is replete with specific red flags, from its record on labor rights to its potential anti-competitive behavior to its creepy use of data. But the company’s malignant impact goes beyond all that. Amazon’s remarkable success is driven by its dramatic reshaping of basic human interactions and the fundamentals of urban life. The enormity of its online marketplace has changed the way people shop in a way that is as inhuman as it is convenient. It has conditioned consumers to see interpersonal contact as an inconvenience, while normalizing the idea of allowing a disembodied humanoid voice to mediate one’s interactions with the world. It has helped foment a crisis for the very retail businesses that give so many New York neighborhoods their character. The city is desperate for housing. Though it might seem like a ton of new housing is being built, throughout the 2010s construction of new housing has lagged behind population growth. That’s not an opinion, that’s just a fact. And when supply lags behind demand, there’s only one thing that will happen. Reasonable minds can certainly disagree about the wisdom of the Amazon deal and neighborhood equity in de Blasio’s housing plan but to imply the city doesn’t need more housing is just disingenuous. That wasn’t the implication at all. The issue is that the desperate need for housing didn’t stop the city from deeding a housing site to Amazon. I think that Amazon will be good for NYC and NYS. But I don’t like Cuomo’s intended use of a ‘Project Plan’ to over-ride NYC’s zoning laws. Gov. DUMB & Mayor DUMBER! I’m surprised Trump hasn’t gone after them yet for this deal. Maybe he’s holding them for dessert. Here’s the deal to AMAZON: You want to be in NYC. Here’s what you get: NYC and all its attributes. That’s what you’re after, right? Now how much will you give US to put it in a shape you like? You have to cover the our costs. No free ride here.